It might not feel like dress weather right now, but as we edge closer and closer to spring, it seems like a good time to start checking out what's on offer. A go-to dress makes the perfect frock to wear to the market and pub on a Saturday and can make an easy transition to the office when paired with the right accessories. Whether you're a mini lover or ankle-grazing girl, there's so much to choose from, so it's important to familiarise yourself with the pieces that will stand the test of time, and find out which ones are best suited to your personal style and taste. And whilst perfect for summer heat, a dress can make the perfect wardrobe companion all year round. Just pair with opaque tights, chic socks or knee-high boots for a look that will walk you comfortably through autumn and even into winter. Have a scroll through the dress styles we're certain will be in fashion for decades to come, and then shop the pieces that suit your taste the most. 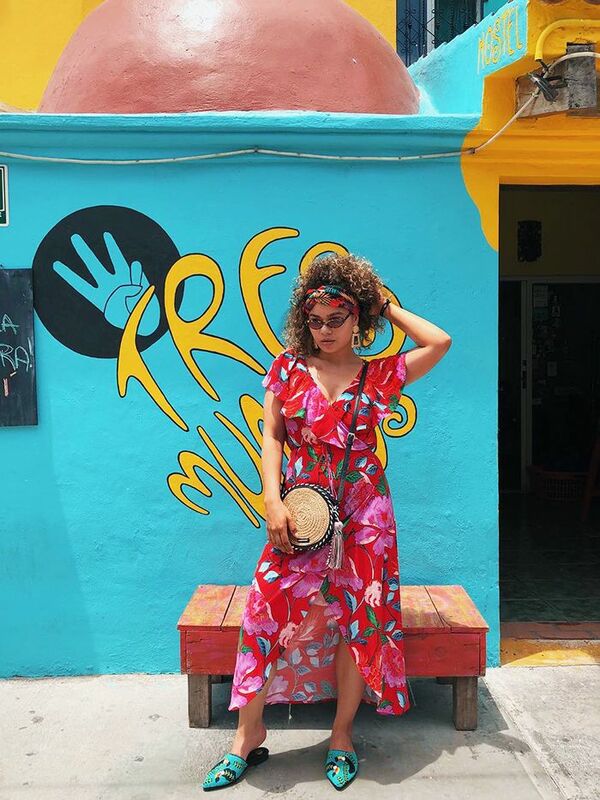 Style Notes: The Instagram set loves a wrap dress, and so do we. 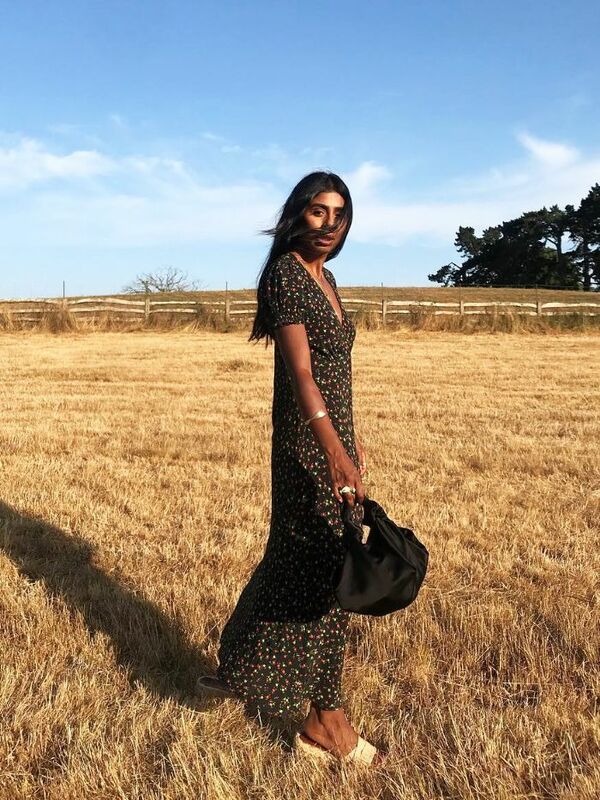 Ultra-flattering for all body types, wrap dresses have taken over our feeds and are looking like the must-have style for 2019. This being said, they've been around for over 40 years, first made iconic by none other than Diane von Furstenburg in 1974. The wrapping function accentuates the waist and looks great on a curvy figure, but can also add definition to those with a more athletic body. For a weekend stroll or evening out, try a mini wrap dress. The shorter hem is also extremely flattering on more petite frames. If you're looking for something easily transitioned from weekend to work, there's a whole fleet of long-sleeved, below-the-knee wrap dresses for you. Style Notes: A nod to the '90s, the slip dress will forever evoke images of Kate Moss, Courtney Love and Carrie Bradshaw in my mind. If you're looking for a sleek, minimalistic approach to dressing, the slip dress is perfect for you. If you have a smaller bust, layer a lace triangle bra underneath for added texture. For larger-cheasted women, a slip dress with a defined bust area or thicker straps will provide more support. Not 100% sold on the underwear-as-outerwear trend? Layer a T-shirt underneath in the summer or a roll-neck in winter, and you'll find yourself with a whole new opportunity to mix textures, patterns and colours. Style Notes: The shirtdress is a stylish answer to summer workwear, and it's perfect paired with pointed-toe mules in the boardroom or trainers for the weekend. Ideal for the warmer summer months, a shirtdress can make the perfect beach cover-up too. If you have a shorter frame or fuller figure, look for a shirtdress with belting to help give your silhouette some definition. However, if you want to be more directional, don't be afraid to exaggerate the shape of your shirtdress and go for something oversized with extra-long sleeves and/or statement cuffs. Style Notes: We've long been told that a little black dress is something every woman should own. An LBD is perfect for those times when you don't feel like worrying about which accessories will match your look, often eliminating the degree of "getting ready" you'll ever need to do. This is truly a trend for everyone, and it looks insanely chic paired with bold accessories, as done by Ellie above. Opt for sculptural gold jewellery and bright shoes and you'll instantly steal the show. Style Notes: The halter-neck dress oozes Hollywood glamour, and we can't help but think of Marilyn Monroe's iconic white dress in The Seven Year Itch. Or Meghan Markle's second wedding dress for that matter. A halter-neck dress is the perfect weekend throw-on dress, and it looks great paired with casual accessories like trainers and a basket bag. If you're looking to channel your inner Marilyn, opt for a halter-neck dress made from silk with a fuller skirt and defined bust area, and pair with glam accessories. Style Notes: All the rage in the early-to-mid 1800s, off-the-shoulder dresses have evolved from corseted gowns you might find in a painting in the V&A to the perfect casual summer piece. Talk about a long-lasting trend! An off-the-shoulder style will elongate your neck, and it's the perfect way to show off an amazing necklace or pair of statement earrings. If you're feeling adventurous and want to give your off-the-shoulder dress a transitional flair, think about pairing it with an white or blue button-down underneath. Style Notes: If you're after the perfect throw-on dress with bohemian vibes, look no further than the maxi. A billowing one like the beauty sported by Annabel above is perfect for work during the hot summer months, and it'll look easy breezy paired with simple leather sandals or flats. If you're looking for an evening dress with added elegance, the long lines of a maxi will have you black-tie–ready with ease. For those of us who love the trend but are worried about tripping over hems or being drowned in a sea of silk, look for something in the petite section, or take a trip to your local tailor. You want a maxi to be full in length but be no longer than just above your ankles. Shop more of the best maxi dresses here.